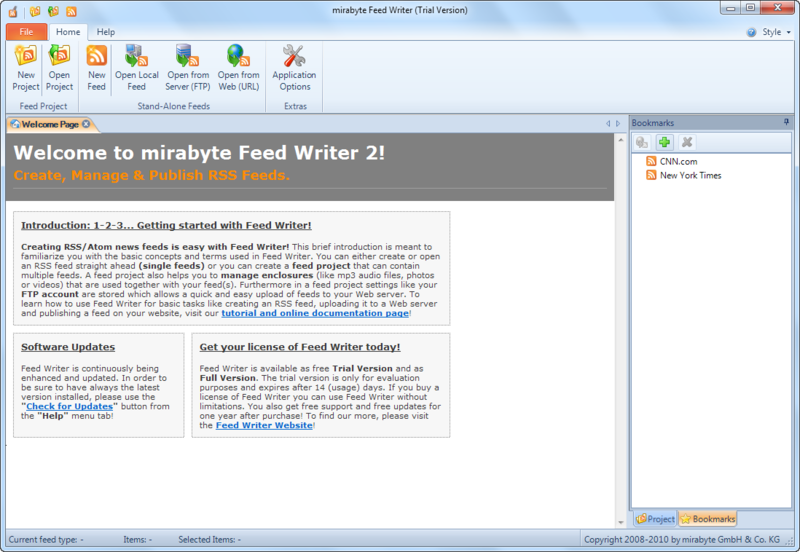 Feed Writer is the most powerful tool for professionally creating and maintaining editorial RSS news feeds and podcasts. It supports all common feed formats such as RSS 0.91, RSS 0.92, RSS 2.0, Atom and offers a lot of unique productivity features. Feed Writer allows you to easily create podcasts and multimedia feeds without having to worry about the technical details. Google loves RSS! Since RSS feeds can be processed automatically by search engines (Semantic Web). For software developers that deal with Web services and service oriented architectures (SOA) Feed Writer is handy tool for creating test and mock-up data feeds.